Nokia rolled out its E61i at the big event at 3GSM in Barcelona today. This one is a cellphone that's geared up for serious emailing for corporate types. Its slim form factor (14mm thin) and 320x240 screen is aimed straight at the Samsung Blackjack and Motorola Q, and it should hit the streets sometime in Q2. 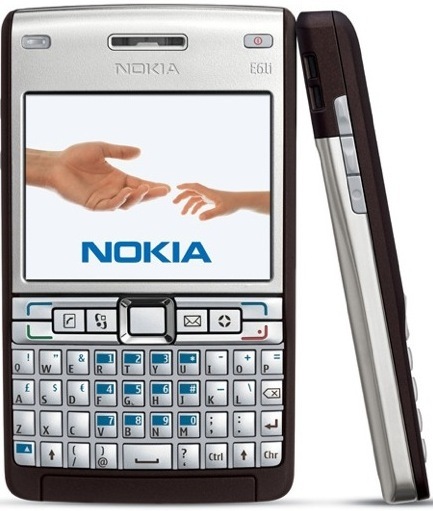 Also on board is a 2-megapixel camera, which might not go over well with some paranoid corporations, but those companies might like its Intellisync Mobile Suite 8.0 which Nokia says will allow the E61i to easily integrate with corporate e-mail environments.